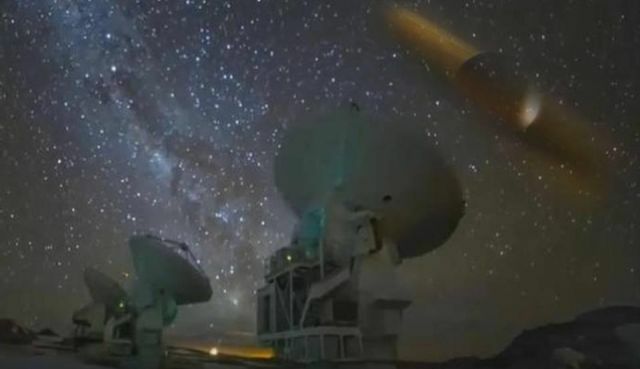 Mysterious signals from 234 stars have been recorded by astronomers who believe that it could indicate the presence of extraterrestrial intelligence. Astronomers Ermanno Borra and Eric Trottier from Laval University in Canada analyzed 2.5 million stars from the Sloan Digital Sky Survey project. In their resulting study published in Solar and Stellar Astrophysics journal, the pair conclude that the peculiar signals they recorded could be from aliens trying to make contact with Earth. The researchers came to this potential explanation based on a previous study by Borra which predicted the shape of an extraterrestrial intelligence (ETI) signal. The 234 signals identified match this shape exactly, reports Russia Today. However the theory that these signals are the result of aliens is only one of a number of possibilities.